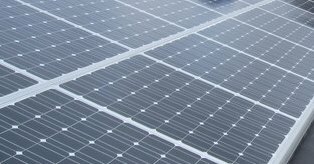 The Institute of Cultural Affairs installed 483 solar panels on the roof of its headquarters in the Uptown neighborhood, making it the largest number of solar panels on one structure in the Chicago area outside of downtown. The institute tells us how it's part of its master plan on sustainability. The Institute of Cultural Affairs and its nearly 500 solar panels is one of 48 Chicago buildings that have pledged to a 20 percent improvement in energy efficiency. Further, the ICA was the first building owned by a nonprofit to join RetroFit Chicago’s Commercial Buildings Initiative. The initiative has led to $2.5 million in savings and a 7 percent reduction in overall energy usage through its commercial partnerships, according to an August 2014 report. Retrofit Chicago also partners with municipal and residential properties, helping homeowners, “with free energy saving items, including programmable thermostats and showerheads, and rebates on qualifying air conditioners, furnaces and other large appliances,” according to its website. A phone line, 855-9-IMPACT (855-946-7228), was created to help connect residents with easy and convenient energy saving solutions. To date, Retrofit Chicago has resulted in $5.9 million in savings and a 15 percent energy reduction in retrofitted homes. During the summer, the city also offered Chicago Solar Express, a program that aimed to make rooftop solar more affordable for residents. Participation in the program, which closed Tuesday, Sept. 30, exceeded the city’s expectations. According to City of Chicago Chief Sustainability Officer Karen Weigert, the program ended with 2,100 registrations. The original goal of 750 registrations was met within the first two weeks. The program was made possible due in part to a $750,000 “SunShot” grant from the U.S. Department of Energy. Part of the program included streamlining the application process. The streamlining resulted in applications being processed within 24 hours. The city also works to provide more environmentally-friendly options for residents, Weigert said. She cited the rebuilt, faster Red Line service on the South Side and the Divvy bike-sharing program, which can be less expensive, healthier, and better for the environment than traveling by car. “It’s been amazing to think about the amount of work the city, residents, and organizations have focused on and delivered in terms of sustainability,” Weigert said.